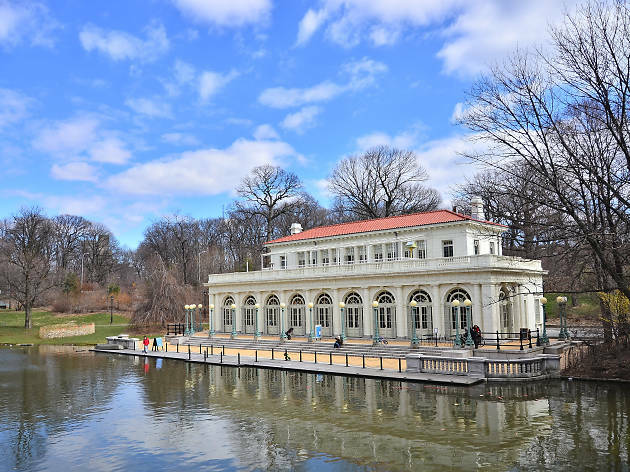 Everything you need to know about visiting Prospect Park (Brooklyn, NY). You can walk to all of these spots in about a half hour, no matter where you are in the park. -Take a pedal boat ride at Lakeside Brooklyn. -Stroll over to the Prospect Park Zoo. -Go roller skating (or ice skating) at Lakeside at Prospect Park. 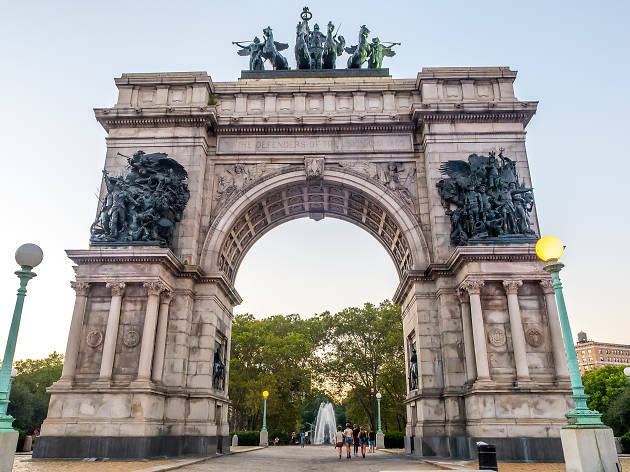 -Peep the Soldiers’ and Sailors’ Memorial Arch at Grand Army Memorial Plaza. -Breathe in all that fresh hair at the Brooklyn Botanical Garden. 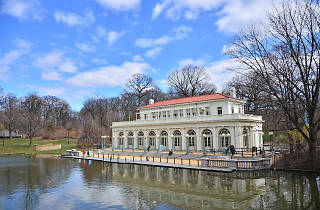 -During warmer months, see a show at Prospect Park Bandshell. Want some more Prospect Park history? About 2,000 people are buried in Prospect Park. Since the 1840s (and possibly before) Quakers have been burying their dead in an NYC cemetery owned and maintained by the Religious Society of Friends. Since many Quakers formerly believed that headstones were a form of vanity, many of the graves are unmarked. Among the buried is Hollywood actor Montgomery Clift. Our editorial team is constantly updating and reviewing the best attractions, activities and venues in New York, so that you're always in the know, with the best of NY at your fingertips. This page was most recently updated on June 30, 2017. 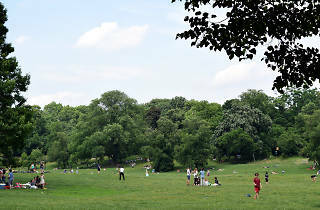 Prospect Park is the Central Park of Brooklyn, and I think its better! Its big but not like OVERWHELMINGLY big like CP. There are lots of cool and interesting things to see, like the Boat House, the historic Lefferts House, the lakes and just wandering around the paths. Hopefully you'll forget you're in the city! Also the park was recently made CAR FREE! So no need to be on alert if you want to go for a run on the main path that goes around the park. There are also lots of open spaces for picnicking/Frisbee an the like! Its a beautiful place, and you really can't wrong spending a day here! I used to live just a few blocks from Prospect Park, and I spent a lot of time here! There are plenty of gorgeous spots to discover, and you can even use the public grills if you get in early. There are great fields for frisbee and picnicking. I also ran the perimeter of the park almost every day in the evening or early morning, but I'd say it's probably ideal to bring a buddy (some of it is not very well-lit). 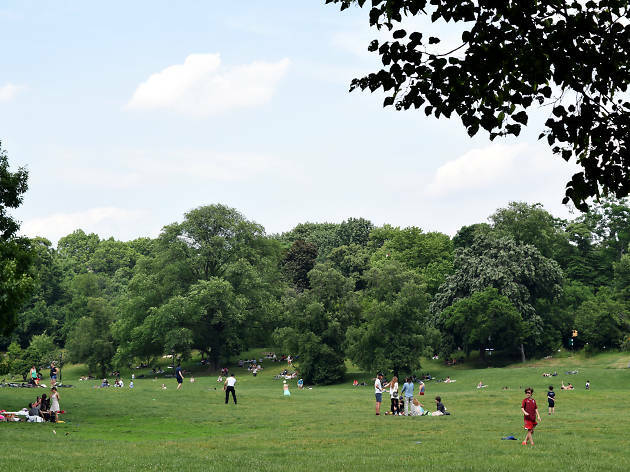 Many Brooklynites say Prospect Park is better than Central Park. I have to admit, I do love Prospect Park (but I love Central Park too!). I’ve done quite a bit of running around both parks, and the views around Prospect Park are more spectacular. Summer concerts here are also a can’t miss opportunity, especially since many of them are free admission. The Brooklyn Museum and Botanic Garden are at the North East corner, so be sure to stop on by when you visiting Prospect Park. Credit where it’s due. Lungs of Brooklyn. This park is enormous and beautiful. The Prospect Park Alliance are active and there’s a strong calendar of events for kids. Local longtime residents will tell you how things have changed dramatically over the many years. There’s a steady stream of runners for good reason and Smorgasburg (in season) gives another great reason to drift around the park on a Sunday. Central what? !